Chapter 4—Smoking and Your Digestive System…. Chapter 6—Upper and Lower GI Series…. 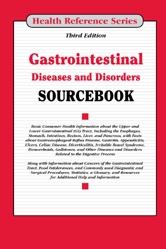 Chapter 12—Gastroesophageal Reflux Disease (GERD)…. Chapter 48—Food- and Water-Borne Diseases.